Tis the season for baking – and that means baking up your favourite holiday cookies! Baking cookies always brings back happy memories of times with my mom, when I was a kid. She’d make sugar cookies or shortbread in various shapes and I would decorate the heck out of them with sprinkles, icing sugar and sticky frosting. I would lick my fingers, make a mess and gobble them up while my mom patiently rolled more dough ready for the next batch. Ah! What happy memories. 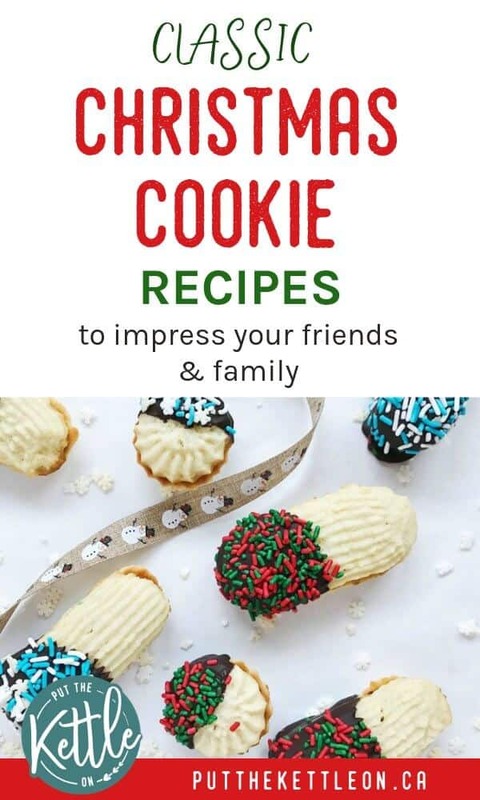 To get into the holiday spirit, I am sharing some quick and easy Christmas cookie recipes to make this year. 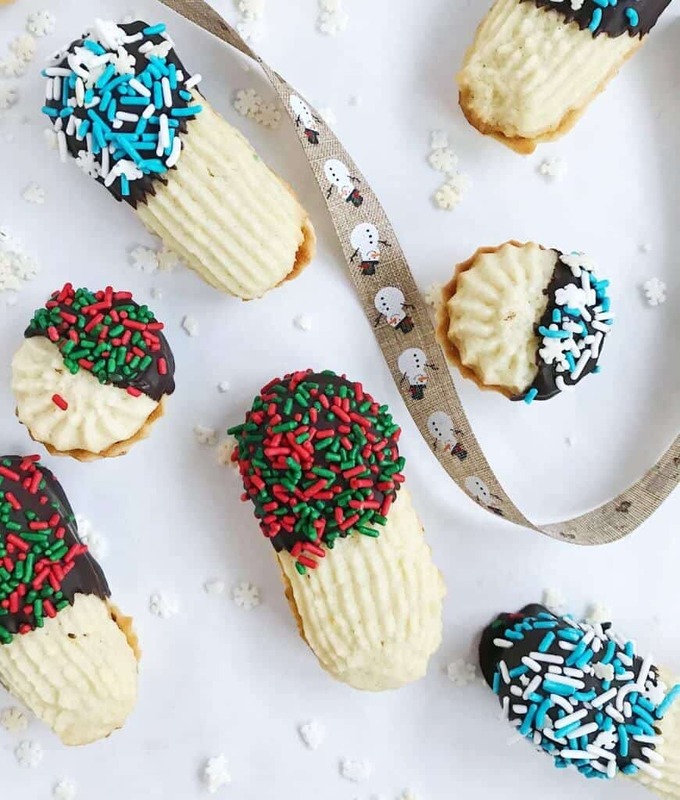 These are perfect for your family get-togethers, a cookie exchange or to share with your co-workers and friends. This post may contain affiliate links. Disclosure here. Who likes to pipe?! I’m talking about a piping bag for your cookies. If you haven’t tried this before it’s really easy, tons of fun and these buttery spritz cookies flavoured with a hint of almond and lemon are the perfect cookies to test your piping skills. Tools: Piping bag kit with stainless steel tips. Find the recipe here. Hello chocolate lovers! 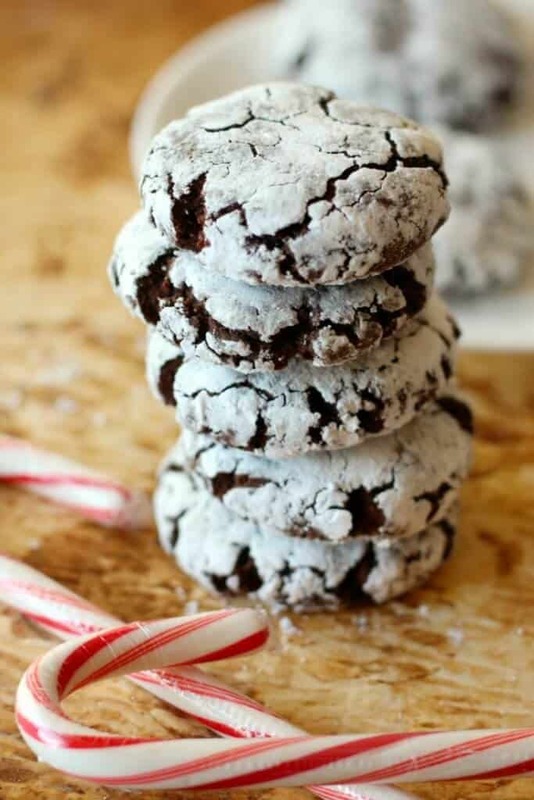 You have to try this minty twist to the perfect chocolate crinkle cookie. The fact that this is completely vegan, dairy free and allergen free makes this the perfect cookie to give your friend with allergies and intolerances. The fact that it’s good for all and is delicious makes this cookie one of my favourites. Supplies: Gluten Free Flour. Find the recipe here. Don’t like to bake? This cookie is for you! It’s really simple to make and the combination of green and red colours make it perfect for the season. Find the recipe here. These gingerbread cookies have all the warming spices of the classic gingerbread cookie but are a soft chewy version. 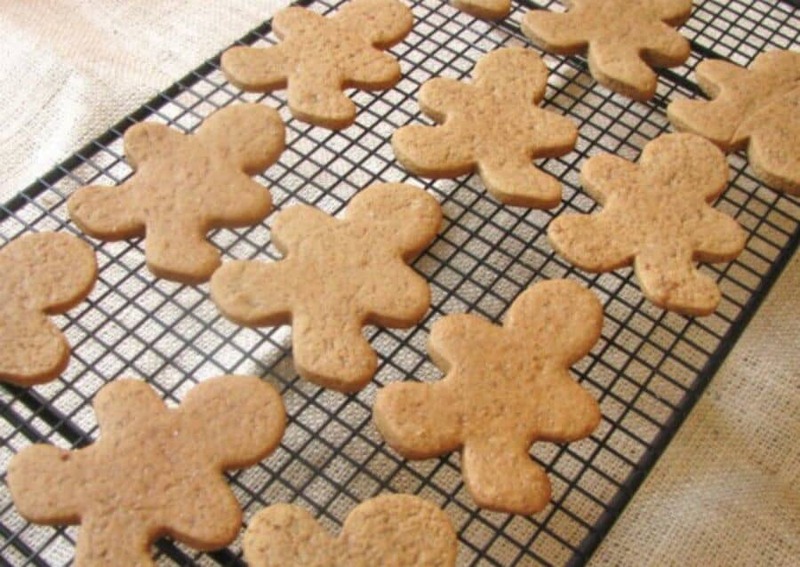 This recipe is perfect if you like to decorate your gingerbread or they are just perfect to eat as is. Find the recipe here. 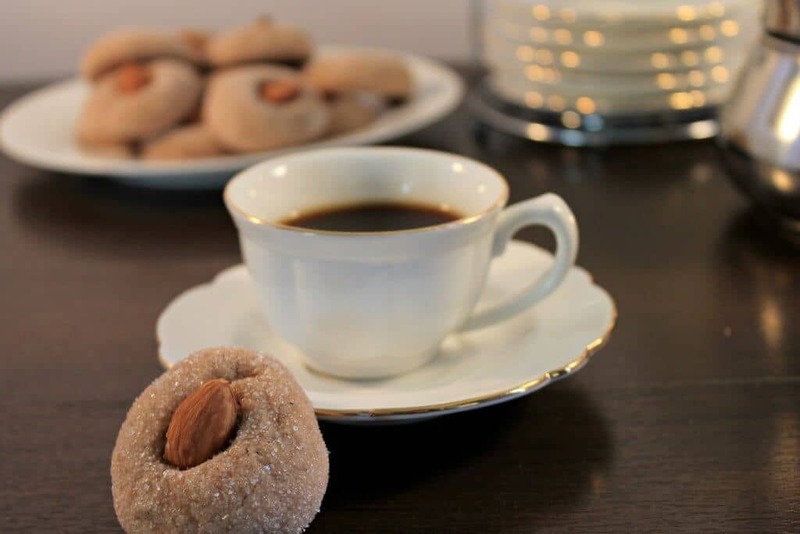 These festive Italian Amaretti cookies will even impress Nonna! The recipe makes 8 dozen, are great for the freezer and are perfect with a cup of coffee or tea. Find the recipe here. 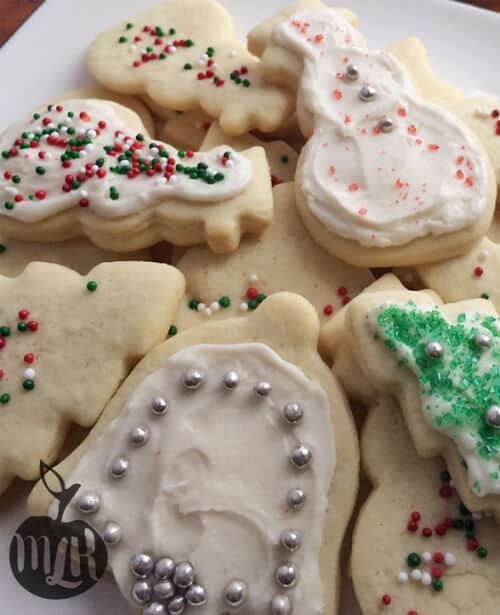 The perfect sugar cookie dough recipe to make your favourite cut out cookie shapes. Decorate with coloured sprinkles or the homemade frosting recipe that’s included. Tools: Holiday Cookie Cutters. Find the recipe here. This cookie is more about assembling all the ingredients, so it’s perfect to make with the kids – although be warned, it could get messy! That’s the fun part though 🙂 Oreos dipped in peppermint white chocolate and sprinkled with peppermint candies. Find the recipe here. Okay, I know these aren’t cookies, but they are small, super easy and have chocolate – so they are a big winner in my book! 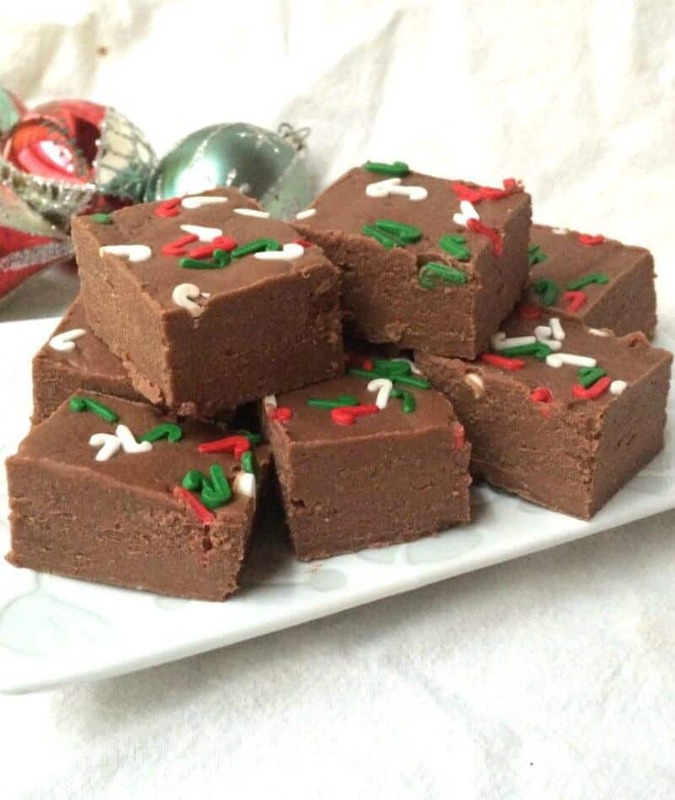 Give this no-fail Christmas fudge a try 🙂 Find the recipe here. 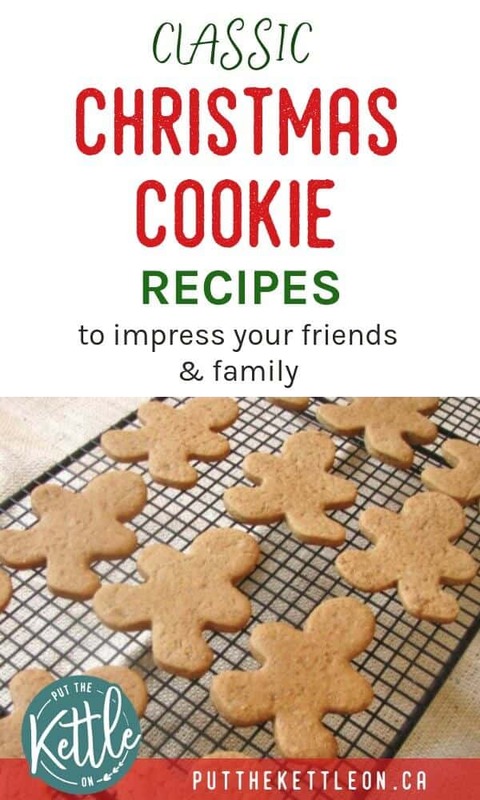 What’s your favourite holiday cookie recipe to make? Do you join in on any cookie exchanges? Yumm!!! Soooo many delicious cookies to choose from, guess I just have to make them all! Yum! These all look so good, thanks for sharing. Looks amazing! My mouth is watering and I’m so excited to get baking for the holidays!! Yes! I’m excited to get my baking on soon too! 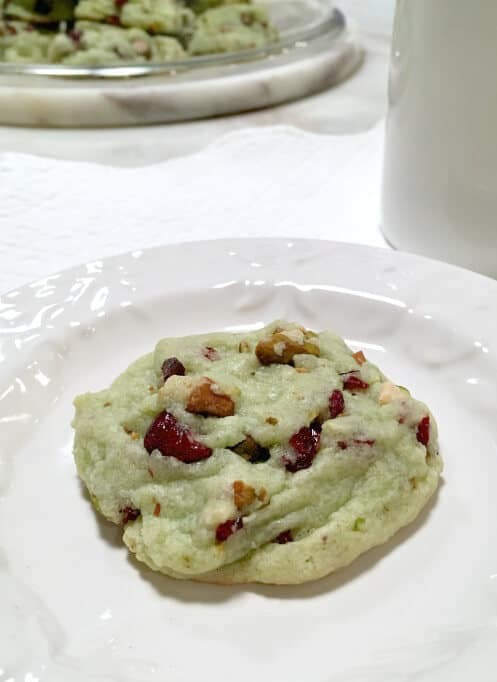 Cranberry Pistachio! That sounds delicious. I’ve never had them so these are going on my list. Oh my goodness! All of these look delicious! I’m a sucker for Oreos so I’ll definitely be giving that one a try this season. Yes, those ones looks SO good! Of course I have to read this when I’m hungry!!! Those cookies look amazing!!!!! 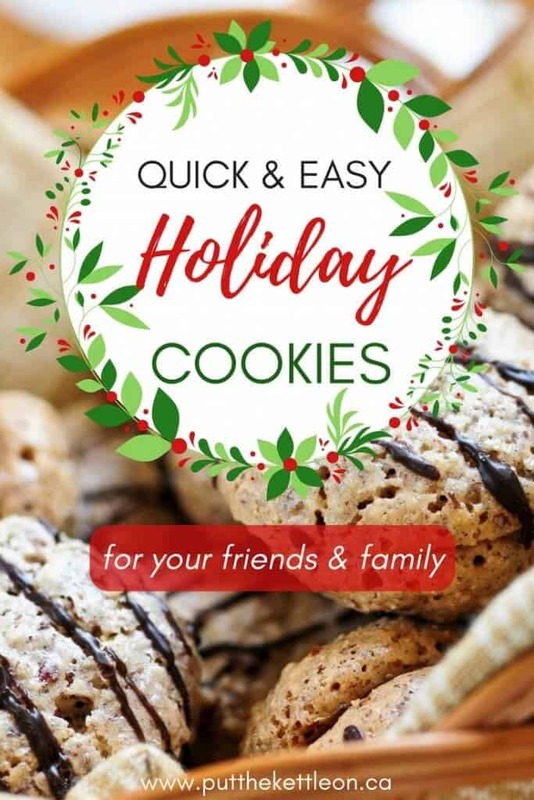 Some great recipes here – I feel like I make the same stuff every year, can’t wait to try some of these. I make Spritz cookies every year, but I’ve never tried them with a piping bag (just a cookie press!) I should try it this way this year! You should try! Piping bags are a lot of fun. Oh my goodness, the cookies look so good. Happy Thanksgiving. Oh my gosh, can y’all come visit me and bake these here. These pics are making me sooo hungry. Saving this to entice my daughters to bake while I am at work over the holidays! Good plan – getting you daughters to bake for you!! Great list!!! I want to try some of these! Ha! Sure – where do you live?!! Baking cookies is one of my favorite holiday traditions, I can’t wait to try out some new recipes!!! 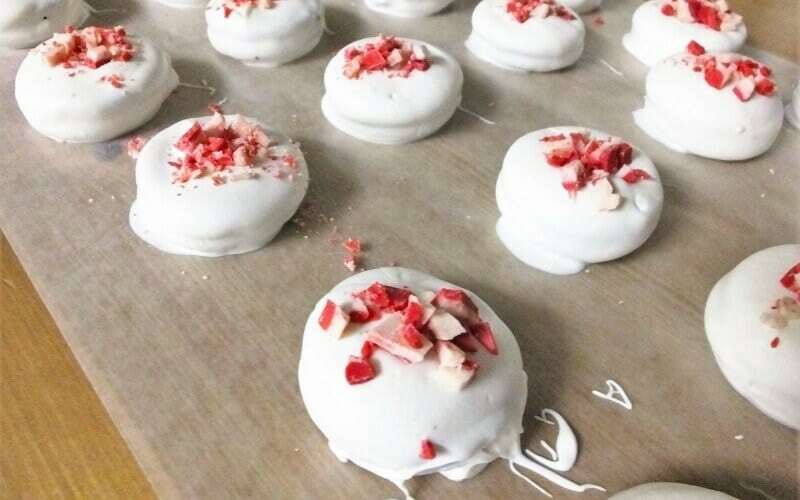 These all look amazing, but I LOVE the peppermint twist on crinkle cookies! Those are my absolute favorite. 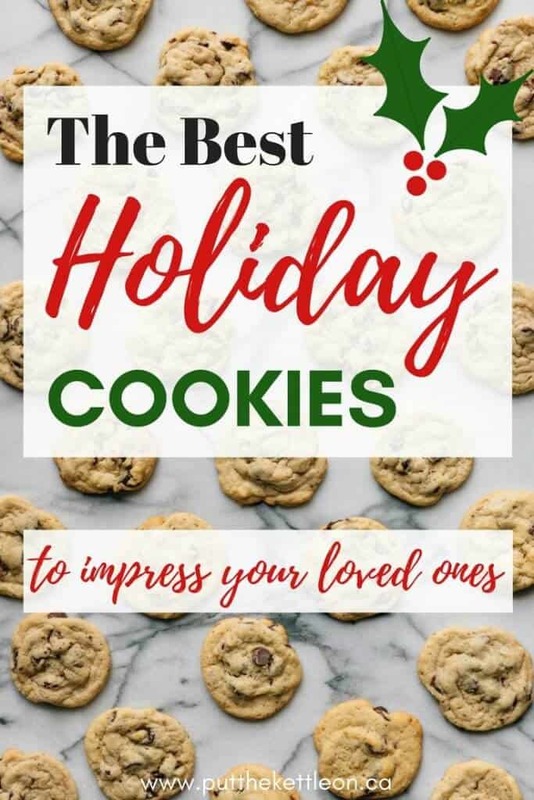 Every SINGLE one of these cookies look delish! Thanks for sharing! So many awesome choices! Thank you for this, I guess I’ll be busy busy baking!! All of these cookies look AMAZING! I was just wondering what I would bake with my mom and daughter this year for Christmas. I’m thinking we will give the GRANDMA’S HOLIDAY PRIZE COOKIES (SUGAR COOKIES) recipe a try. I can’t wait! Sure – come on over! Oh man. And I thought I was done baking for the season. Not now!!! These are all calorie free right? 😉 they all sound delicious!! Hey Holly! That’s what I love about Christmas recipes – they bring back so many happy memories. I bet your Grandma’s fudge was to die for! This post put a smile on my face. I am so excited for Christmas! I’m looking forward to Christmas season too! You know the day after Halloween it starts!! Those Italian amaretti cookies look soooo good! 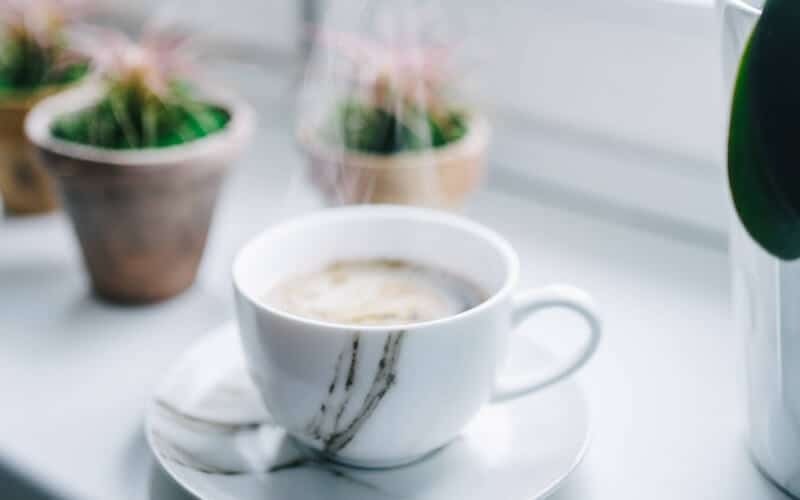 I love coffee and I can imagine that they must be a perfect match. Maybe I better do some baking! I agree!! They are amazing with coffee.